The man ran up and stole the money bin before fleeing on foot. 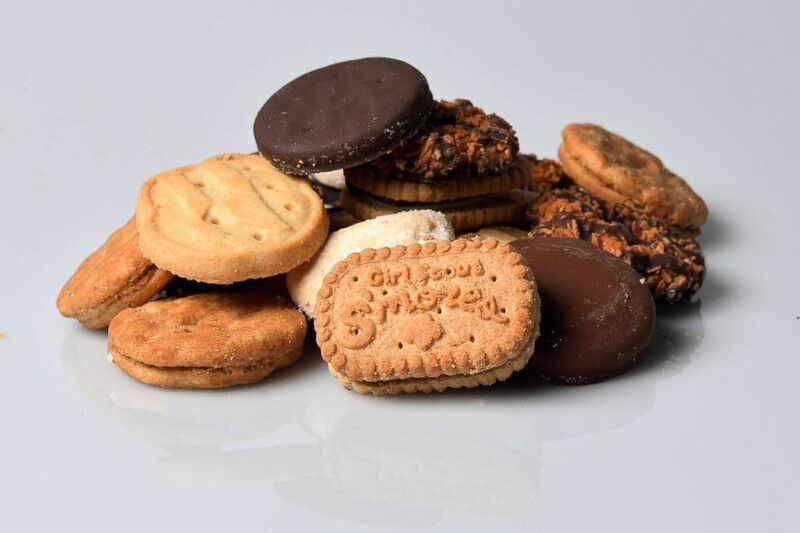 A man in Seattle was more interested in cash than Thin Mints or Samoas when he encountered a troop of Girl Scouts selling cookies over the weekend. And now the shady suspect has got more than the law on his tail. The man ran up and swiped a money bin containing $600 from a group selling the coveted cookies in front of a QFC grocery store in Seattle on Sunday night, according to the Seattle Police Department. He then fled on foot, police said. (The Washington Post/Getty Images, FILE) The seven Girl Scout cookies are seen here. In releasing a surveillance photo of the man, who was wearing a bright-colored hoodie with a jacket over it at the time of the theft, police in Seattle offered a light-hearted response to the cruel criminality. In a press release titled "To the Man Who Stole $600 From a Girl Scout Cookie Table: We Cannot Stop Them; Your Only Hope is to Turn Yourself In," investigators requested that the public contact detectives if the recognize the man so that they can take him into custody before "highly-mobile teams of Girl Scouts armed with bows, poison-tipped arrows, and a Terminator-like unflinching dedication to relentlessly pursuing their target do." Additional information on the heartless cash grab was not immediately available.